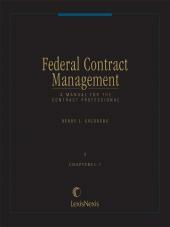 Authors Kirby D. Behre and A. Jeff Ifrah have revised the contents of this two-volume set to change its focus from a general application of the U.S. Sentencing Guidelines to criminal cases to a more detailed analysis of the sentencing aspects of specific white collar crimes. Authors Kirby D. Behre and A. Jeff Ifrah have revised the contents of this two-volume set to change its focus from a general application of the U.S. Sentencing Guidelines to criminal cases to a more detailed analysis of the sentencing aspects of specific white collar crimes. 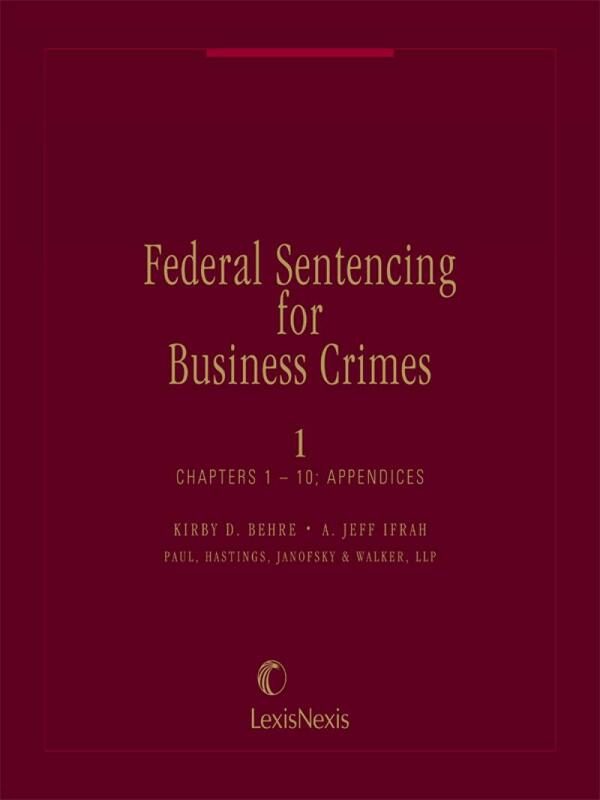 The only comprehensive federal sentencing treatise with a business crime focus, Federal Sentencing for Business Crimes offers clear and practical guidance through the complexities of the Sentencing Guidelines to both novice and experienced prosecutors and defense attorneys. An overview of the U.S. Sentencing Commission, the federal sentencing guidelines, and the Sentencing Reform Act. Discussion of the offense guidelines and what constitutes relevant conduct. Analysis of adjustments and upward and downward departures. Explanation of the impact of criminal history on a defendant's sentence and the role of plea agreements and plea agreement procedure in the sentencing process. Expert treatment on sentencing process and procedure, including a discussion of applicable fines, terms of probation, and supervisory release. Review of applicable grounds for appealing a sentence. Explanation of sentencing alternatives and the role of the Bureau of Prisons. 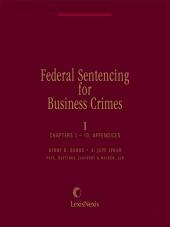 Separate chapters on specific offenses related to white collar crime, including: antitrust crimes, bankruptcy fraud, computer crimes, environmental crimes, food and drug crimes, securities fraud, and tax offenses. 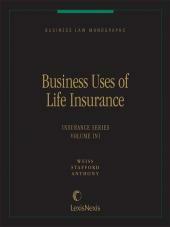 Separate softbound volume containing the most current U.S. Sentencing Guidelines. Kirby Behre is a Member of Miller & Chevaliers Litigation department. Throughout his 25 years of practice, Mr. Behre has developed a depth of experience ranging from the corporate boardroom to the courtroom. He represents companies and individuals in complex business litigation, government and internal investigations, criminal prosecutions and regulatory matters worldwide. As a former federal prosecutor and an accomplished trial lawyer, Mr. Behre has significant courtroom experience and has tried more than 50 cases before a jury. He is a nationally recognized authority on business crimes and co-authored Federal Sentencing for Business Crimes (Lexis-Nexis) and Responding to Corporate Criminal Investigations (BNA). Mr. Behre has argued appeals before the United States Court of Appeals for the District of Columbia Circuit, the Second Circuit and the District of Columbia Court of Appeals. Jeff Ifrah, the founding member of Ifrah Law PLLC, has earned international recognition as a litigation and trial attorney and is praised by clients as an 	excellent lawyer with great business sense  ( Chambers USA 2016 ). With a focus on government investigations, complex commercial litigation, and white collar defense for senior executives, Jeff advises companies and individuals in highly regulated industries like online gaming, internet advertising, financial services, health care, and government contracting. A leading attorney in the world of online betting and fantasy sports, Jeff represents publicly traded companies, privately held ventures, and state lottery commissions in critical matters effecting their industry. 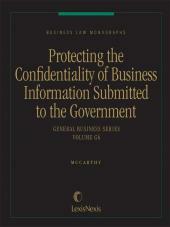 He also has a robust practice advising clients on internet advertising matters involving the FTC, the CFTC, and the SEC. Where ever business and the internet meet, Jeff has staked a claim as a go-to lawyer for leading companies doing business online. 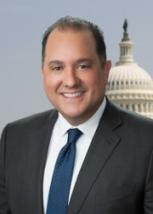 Jeff is recognized by Chambers USA in the categories of Gaming & Licensing (Nationwide) and Litigation: White-Collar Crime & Government Investigations (District of Columbia); was named a 2015 Litigation Trailblazer by the National Law Journal; was recognized by LexisNexis as an expert in health care and securities fraud; and named one of 12 outstanding fraud and compliance lawyers in the United States by Nightingales Healthcare News. Jeff is a recipient of the Meritorious Service Award (U.S. Army).